1 What is an Informative Speech / Definition? Also make sure you check out our informative speech on cyberbullying example and our tutorial on how to write an informative speech outline. What is an Informative Speech / Definition? An informative speech is not an argumentative speech. It is not an occasion for arguing a point of view or trying to persuade your audience of a particular perspective. It is not the time to engage in polemics or rhetoric that is designed to destroy the opposition. It is simply an opportunity to convey or communicate knowledge about a particular subject to your audience. An informative speech is just that—a chance to tell others what you know about something. You can imagine yourself as Google: your audience has arrived with a search query—and you are the result that pops up on the screen. Inform your audience about the subject that they are all there to know more about. Do that and you’ll be sure to give a great informative speech every time. Usually informative speeches tell an audience how to do something—how to make a gourmet meal, for example, or how to construct a tree house. Sometimes they are used to describe a phenomenon—say, what it’s like to sail around the world or what playing chess against Bobby Fischer was like. Regardless of your approach, all you need to do in your informative speech is simply give your audience the information. What to do with that information is up to them. They can use it and apply it to their own lives if they see fit. Or they can reject it. You don’t have to argue a point or try to convince them of anything. Your job is just to give them the facts. To help you get thinking about what subject to choose for your informative speech, have a look at these informative speech topics below. The discussion will always go on—who is better, Jordan or James?—but something people sometimes forget to understand is that both played different positions and therefore had different roles. Most people know what a guard does—but what does a forward do for a team? Explaining this could be good way to explain the game in general and provide your audience with a nice introduction to one of life’s enduring questions: James…or Jordan? We all know that it’s celebrated across the nation—that the flag is flown at half-mast in honor of the fallen. But who knows why and when Memorial Day was instituted? What was the mob’s connection—and in particularly Benjamin “Bugsy” Siegel’s role—in the founding of Las Vegas as a gambling destination? People love mob stories: the underbelly of America—the place where all the rules are broken by men with muscle, money and clout. With funding from Meyer Lansky and others, Siegel brought the mob to the Las Vegas strip and forever changed history. With the rise of AirBnB, Uber, office lending and other share space ideas, a new market has arisen in which space becomes a commodity. In the process, the traditional way in which we think about space has changed. How is the share space economy impacting old ways of doing things? What conventions have been turned on their heads? And what does it bode for the future? There are a ton of different ideas about how children should be educated. Some think standardized curricula are the way to go. Others think emphasizing a politically correct world view is important. There is also the concept of allowing creativity to flourish. How does time spent on creative exercises help children to develop? Shakespeare had a storied career. From rising out of obscurity to retiring into fame and legendary status, Shakespeare climbed the ranks of society all the way to the King’s Court. His ladder was his own imagination and the stellar use of language upon the stage. Provide an audience with details of how it all happened. Examine plays like Romeo & Juliet, Hamlet, Macbeth, Winter’s Tale and The Tempest. Show how one of the greatest playwrights in all history did it. Leadership is a big deal for a lot of organizations. What style of leadership is most helpful in achieving organizational aims? Servant leadership? Authoritarian leadership? Democratic leadership? Give an audience a description of the all the various possibilities and where they come from—and which would work best for a range of organizational environments. Dale Carnegie’s famous book How to Win Friends and Influence People has been considered a life changer for many people. Go through it and pull out the main points from the book. Then write your informative speech by using this info and passing it on to your audience. Give pointers and tips for practical application. You can neatly give a summary and explanation of these three books that are important to the world’s three main religions—Christianity, Judaism and Islam. By bringing them together in one speech, you can show what each says and deepen the audience’s understanding of each by comparing the books with one another. Russia has been in the news a lot lately—so much so that commentators feel we are in a new Cold War 2.0. Why is there so much antagonism towards Russia today and what can we learn by studying the history of Russia? henitsyn. His Gulag Archipelago was an indictment of the Soviet slave labor prison camps. It rocked the world and led to the author’s winning of the Nobel for literature. Having experienced the camps first hand, Solzhenitsyn dedicated his life to bringing the stories of Russians before the eyes of the public so that all might know the truth. He was hailed a hero by the West but exiled from his own land in the process. After the collapse of the Soviet Union, Solzhenitsyn was welcomed back to Russia and honored as one of the country’s greatest writers of all time. What happened at Enron to bring about its fall? In its hey-day, Enron was the talk of the town and could do no wrong. Then all of a sudden it could do nothing right. Re-visit the story of Enron and discover what lessons can be learned from it by writing an informative speech for an audience that may be unfamiliar with the history of the company, now that we are more than a decade removed from the events that transpired at the turn of the 21st century. Baseball is one of the most popular sports in the U.S. Its popularity has even spread across the globe to Asia. But who started the game and what was it like in the beginning? How did it evolve into what it is today? And who are the legends of baseball and why do we admire them so much? Many people know the name. They either heard the story growing up or came across her biography in passing. Yet few perhaps know the relationship between Earhart’s rise to fame and the burgeoning airline industry’s desire for a poster girl. To what extent did the tragedy that ensued have to do with the business of air travel? Do some digging and present the information to your audience! Why does it seem like everything in the marketplace today is in a giant bubble? Housing is more expensive than it has ever been. Rents are more expensive than they’ve ever been. Stocks are more expensive than they’ve ever been. Health care is more expensive than it’s ever been. Education is more expensive than it’s ever been. What’s caused prices to go up? And what happens to the economy when bubbles pop? You’re probably familiar with some of Warhol’s works—his painting of Monroe or of the Campbell’s Soup can. But what about Warhol’s tongue-in-cheek philosophy that masked a deeper, subtler, conscientious sense of things that can only be described as utterly rational, realistic, and appropriate. For the bad boy of art, underneath the layers of shtick was a man who was incredibly thoughtful, witty and profound. If you’ve been on an airplane before, it might seem like a miracle that this giant hunk of metal full of dozens, if not hundreds, of people is able to get off the ground and stay off the ground. But actually there are some pretty simple concepts in place that make flying possible. Tell your audience how it works and how long humankind has been fascinated with the concept of flight. What is a good strategy for investing? You may have heard of pink sheet stocks, penny stocks, small caps, mid caps and large cap stocks; bonds, T-bills, treasuries, FX, PMs, securities, derivatives, options, calls, puts, and so on. But what’s it all mean? Research some ways to invest: share with the audience low-risk strategies, high-risk strategies, passive strategies, and active strategies. Everyone has a car these days—but that doesn’t mean everyone knows how to take care of one. Since vehicles are expensive and can lead to huge costs if not properly maintained, make a list of what everyone should know in order to keep their car running well year in and year out. Then construct an informative speech that focuses on providing your audience with the points they should remember to ensure their vehicles last a long time . A lot of historians and scholars believe the U.S. is mirroring the ancient Roman Empire in more ways than one. Therefore, now may be a good time to go into a history of the Roman Empire and show why its story is relevant for our own times. Give your audience the particulars regarding the rise and the fall of the Roman Empire and see if there are any connections that can be made to our own present time. Prayer has been shown by medical researchers to have an impact on health and healing. Inform your audience about how prayer can be an effective way to deal with life’s stresses, questions, and obstacles. Give some real life examples and offer some useful strategies that might help anyone who is interested develop a prayer life. How to keep your dorm mates happy? Living together with roommates can be part of the college experience for a lot of students. Sometimes it can be difficult and sometimes it can be fun. If you have some helpful tips on how to keep the peace among so many different people all living together in one place, share them in your informative speech! Who doesn’t like movies? With the arrival of Netflix streaming, we’ve all become binge watchers. So tell us what to watch. Put together a Top 100 list that you can quickly move through—or categorize films according to such thematic concept that you feel makes perfect sense for our day and age. Then inform us about what it all means and why these are your best picks. There aren’t too many things on a young person’s mind during the college years. There is study, work, fun, and a potential mate. What should we be looking for in a significant other? Looks? Character? Personality? Wealth? Stability? Values? Faith? Inform an audience about what they should look for when choosing a spouse and why. Give some examples from literature, history or your own personal experience. A love of good beer is one thing almost all college students have in common. The fine art of brewing beer is something not all of them know enough about. In this day and age, if one can save money by brewing at home, there’s a lot to be said for that. Give an audience the lowdown on what’s needed to get that home brew going. Choosing a career path is one of the toughest decisions a young person will have to make. Should one follow his or her passion? Should one take the conventional route? Should one hope to teach, be a nurse, work with computers, or maybe become a pilot? How much does personality play a part in how these decisions are made? How does one ultimately decide which path to take? Help erase some concerns that a young audience might have when it comes to choosing a career: inform them of the factors that should receive the most consideration and give them some tips as they consider each one. This one may seem ironic since money is something that few college students tend to actually posses. However, saving dough can be a good way to ensure that money is something they have when they get out of school and start paying bills. Give some common tips, advice, and strategies on the best ways to save money so that young people aren’t buried up to their eyeballs in debt upon leaving school and entering the real world. Parties a great way to socialize, meet people, and make new friends. When it comes to throwing a party, there are a lot of options and ways to do it. Think about all the different types of parties there are and which ones might be most appropriate for which occasions. Then write an informative speech that communicates to your audience how to throw the right kind of people for just the right kind of affair. Growing up means putting away the things of a child and putting on the things of an adult—both mentally and physically. Getting rid of the cargo shorts, the blue jeans, the t-shirts and the flip flops sends the message that you are ready to start being considered an adult. Inform your audience about how to dress like you mean business and how dressing for success can impact your psyche and help you obtain your goals. This may seem almost too simple—but, really, it’s a great way to figure out how to take a simple subject and turn it into an informative speech. You can tell your audience exactly what they need to know and do to create the perfect PB+J sandwich. Tell them everything from which peanut butter to buy to how to cut the crust off the bread. Remember being a kid and wanting to fly paper airplanes all the time? Remember when one friend came along with a new way to fold the paper that simply blew your mind? Remember that friend’s plane did all sorts of loops and spins in the air while yours simply glided along like usual and crested to the ground? Well, now it’s your turn to school your audience on how to make the best paper airplanes ever seen. Interviews are hard for a lot of people. They’re nervous. They don’t know how to be themselves—or if being themselves is even something they should try to do. They want to make a good impression but aren’t sure what the interviewer really wants to see and hear. They want the job but they also want to make sure it’s at a salary that is fair. Reconciling all of this can be a bit daunting. Give your audience some tips and advice on how to keep it real during the interview process and how to mine the self-worth and self-confidence within themselves to make any employer see them as a valuable asset. Most people are familiar with games like baseball, football and basketball. But what about rugby? Rugby is a fairly intense game that, like soccer, hardly stops once the action gets going. And while the game may look a little like American football, the rules and procedures are different. Once acquainted with the game, however, most people love it. So acquaint your audience with rugby and let them know what it is and why it’s such a fun sport to play and watch. Caring for a plant may seem like an easy thing to do. You water it, stick it in sunlight and let it be. Easier said than done. Some plants need more water than others, and some plants do fine in the light while others don’t. Then there is the question of whether you need to talk to your plants! Imagine your audience has no idea how to care for a plant. Give them some useful tips and help them to see why caring for a plant can be a really rewarding exercise. Whether you are riding, flying or sharing an Uber, there are rules to be observed in terms of maintaining social etiquette. List the rules and ways that a person can abide by to ensure that he or she is a good passenger at all times. Sauerkraut is one of those German foods that most people buy in a can off the shelf. Yet those who make it at home love it! Discuss the methods and benefits of making your own sauerkraut. Provide a few example recipes and tips to remember! If you’re a hunter, this could be a great topic for you. Some people have no idea what they would do with a deer if they actually killed one—and the very idea could prevent them from going out and getting a hunting license. However, if you show how easy it is to dress a deer that you have killed, you could inspire some in your audience to go out and giving hunting a try. Why everyone is fine with shedding clothes at the beach, but if you went almost anywhere else in public and started doing the same, they’d think you’d lost your mind. Why is it that the combination of sand, surf and sun means that taking off your clothes in public is perfectly acceptable? If you can figure this out and provide your audience with the info, you’ll be on your own way to a masterfully funny informative speech. Everyone has a favorite president. G. W. Bush had some classic one-liners (and, yes, they were almost always unintentional)—but D. J. Trump has had some good ones, too. For this informative speech, try comparing the two to show your audience that with the bar set by men like this then truly anyone can become president. Twitter is one of the most popular forms of social media in use today. Everyone uses it, from Hollywood celebrities to the Pope! Identify some of the most effective users of Twitter and show the audience why they are so good at tweeting. Did watching Wedding Crashers inspire you to try the real thing? Tell your audience about it—and possible obstacles to look out for in the ultimate quest to crash a wedding successfully. Professional athletes provide us with endless hours of entertainment. We wear their jerseys, buy their merchandise, sport their shoes on our feet, and hang their posters on our walls. We love them and cherish them—and give them all kinds of great nicknames. So whether it’s The King or The Mailman or The Refrigerator, there’s plenty of material here for a great and hilarious journey into the world of professional sports and the nicknames of our sports heroes. Who makes the best cowboy—Clint Eastwood, Will Rogers, John Wayne or Gary Cooper? If you grew up watching Westerns, you’re no doubt familiar with all these actors. Each plays a certain type of character and each brings with him his own unique style. However, only one can be the best. So tell us why the one you choose is the best and what that says about all the others. Doing stand-up may seem like an easy job: you get up there and you tell jokes, right? The reality might surprise you. In fact, it takes hard work, rehearsal, and lots of memorization. And if you want to make your speech both informative and funny, demonstrate how to be a stand-up by delivering some jokes in different ways to show the audience how important timing is in one’s delivery! Who doesn’t love a good prank? Whether it’s a whoopee cushion or a crank call, pranks are a great way to have fun and witness hilarious reactions from people. Write an informative speech about how to pull some great pranks on people—or highlight some of the most epic pranks that have ever been pulled in history: think T.S. Eliot smuggling pigeons into fancy diners or the Johnny Knoxville blowing an air horn on a golf course! The history of abortion in the U.S.
There’s a lot to say about this controversial subject—from the practice of abortion being outlawed to Roe v. Wade to the aftermath of that landmark court decision and the surprise twist made by Jane Roe herself. Explain the details surrounding this moment in history—and then explore the claims of those who say it never happened. Talk about the Van Allen belt, the politics of the Apollo Mission, and put the info out there to get your audience thinking. Oliver Stone’s movie is a good place to start but there are many others who have added to the conversation. The House Select Committee on Assassinations essentially ruled that the president was likely killed as the result of a conspiracy—so who are some of the major players? What did independent researchers like Piper say? Some say the central bank has turned a free market economy into a command and control economy. How did this happen? Give the details on the history of the Federal Reserve, beginning with the group that got it all started on Jekyll Island in 1910. What happened at the Second Vatican Council in the 1960s? It started off normally, with schema prepared in the years beforehand, ready to be discussed. Then—the schema got thrown out and a new group of churchmen bandied together to propose a new set of topics to discuss. The result? The Church from that point on took on a new character and a new orientation towards the modern world…. Everyone’s heard about GMO—but what is it? Who makes these products? Are they good for us or bad for us? What is the government’s role in protecting companies like Monsanto? Like with all subjects that you will write about, the first place to begin is by doing some research. An informative speech has to be full of information and unless you are already an expert on a subject, you’ll likely need to read up on it before writing your speech. Once you’ve begun researching, you can set about writing down your ideas. The basic structure of your speech should be like that of any other paper or speech. It should have an opening, a middle, and a closing—i.e., an introduction, a body, and a conclusion. The introduction is where you introduce your topic to your audience. The body is where you provide the bulk of the information. The conclusion is where you wrap up everything you’ve said and give your audience some parting thoughts. You are free to flesh out those three parts as you see fit. So be creative! Try a funny introduction or use a startling hook that draws your listeners in. Show your audience where your information is coming from so that they can decide whether or not you have actually done your homework. Be precise, concise, and on topic, and you will have them eating out of your hand. Okay, so that all sounds good—but how do you actually get started? Developing an outline is probably the best way to begin. An outline can help give structure to your ideas. It provides you with a roadmap of where you have been and where you are going and allows you to make adjustments accordingly. Say you write your outline but realize you have completely forgotten several important points that need to be mentioned. No worries! You can easily amend your outline and arrange items in a new way to see which manner helps everything hang together most effectively. Try to give your speech a nice flow so that you’re neither covering some topics too long nor others too short. Give enough time and information on everything that you see as essential. At the same time, you don’t want to overload or overwhelm your audience with details—especially if your speech is aimed at informing an audience that has no sense of your subject whatsoever. In any case, it is highly suggested that you try putting yourself in your audience’s shoes. Look at your outline as though it were the first time you had ever seen it. How does it strike you? Does it make sense? Is it something that keeps your attention the whole way through? For more information on how to construct an outline, see our informative speech outline template and example outline for more information. Before writing out your speech, sketch out a summary. This will help you to formulate both your outline and the main ideas that you will want to cover. The summary basically allows you to put out a quick, informative paragraph or two of your subject. Once you have summarized your subject—guess what? You’re halfway finished with your paper! How’s that? Look at it this way. Take your summary, identify the main points, and then begin to flesh them out. You made them for a reason—so what are the reasons? Use your sources that you found while researching the subject to help. Just doing this will more than likely double your summary into a full-blown speech. Connect the main points using smooth transitions, ensuring that each point is easy to follow from the one that came before. Now step back and take a look: this will serve as the body of your informative speech. Now that you have the body—let’s focus on writing an introduction and a conclusion. An introduction is simply a way to open up the subject to your audience. If you want to start by asking a question or telling a story—feel free. Use whatever approach you’re most comfortable using. The key is to break the ice somehow—and then tell your audience what it is you will show them. Inform them about why it will be useful or helpful to them, tell them where you have gotten your information from, and show them what you will be speaking about in your speech. The conclusion basically works the same way—but instead if entering the information, you are exiting: so give the audience some points to think about as they leave. Summarize the speech in a few words, re-list the main ideas and points and then send the audience away with another critical question that builds on the one you used when you introduced your subject. Or use a story to go out on. i. The audience will get bored if you go on and on about a single point for more than a minute. ii. So think of yourself as a YouTube video that has to get as much info out as possible within a limited amount of time. One nugget of insight follows another. Usually there are mini-recaps within a longer video that helps the viewer to remember what was said before moving forward. iv. But don’t go too slow either. v. Try to find the happy medium. vi. If you’re giving a ten minute speech, count up the points that you are making and be sure they add up to at least ten. b. Remember, your informative speech is not about you! It’s about your audience. That means this is not an occasion for you to show off all your knowledge about a particular subject—but rather an opportunity for you to connect with your audience and give them what they need to be better informed! a. Don’t feel like you are up there just to waste everyone’s time with useless information. i. Consider that what you have to say is actually important or helpful in some way. ii. Be mindful of how your informative speech could make a positive impact on the lives of your audience, no matter how big or how small. a. Speakers who read their speeches make less of an impact on their audience than speakers who have not only memorized their speech but internalized the subject, the concepts, the points, the reasoning, and so on. iv. Giving inaccurate or false information helps no one—so always stick to the facts. In an informative speech, your opinion is not needed. Let people decide for themselves what to think based on the material you present in what should be an otherwise impartial manner. 6. View this infographic for tips on how to use body language when delivering your speech! Our writers are standing by to help you craft the perfect informative speech. We provide customers around the world with 100% original, customized model speeches that they can use as a guide when creating their own. Whether you are a student or a professional looking for help completing a speech, let us show the way. Everyone learns best when learning by example—and that’s why we’re here. 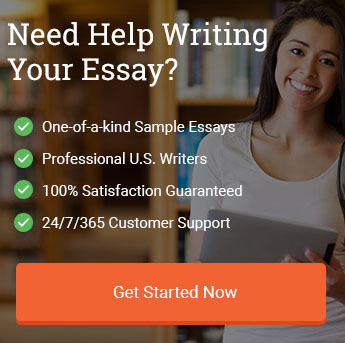 Our example essays, outlines, speeches and papers have been helping customers for years. Check out our customer reviews!. If you just need an outline full of points to discuss or an example essay on the topic that you’ll be speaking about, our writers are ready to develop a model for you that will allow you to hit it out of the park. Don’t wait—order your model essay, speech or outline today! Read more about our services to see if we’re right for you! Writing an informative speech is all about conveying a sense of a subject to an audience. There is no need to try to make an argument or to persuade your audience to adopt a particular point of view. You are merely passing along the information that you obtained over the course of your research or experience. At the same time, you want to be sure to give your audience what they need: be aware of your audience and try to tailor your speech to fit them. Open up with a question that you want them to consider, or start off with a brief story that frames your subject. Fill the body of your speech with important info—at least one important fact per minute. Then close out your speech by summarizing your main points and giving the audience something to consider as they leave—another question for them to ponder or a story to reflect on as they go back out into the world. We hope this article has helped you in picking out the perfect informative speech topic for your presentation. If you have any additional suggestions, please feel free to leave them in the comments section below. "Informative Speech Topics (2019 Update)." Aceyourpaper.com. Student Network Resources Inc, 2 June. 2017. Web. 19 April 2019. Student Network Resources Inc. "Informative Speech Topics (2019 Update)." Aceyourpaper.com. https://www.aceyourpaper.com/presentations/informative-speech-topics/ (accessed April 19, 2019).